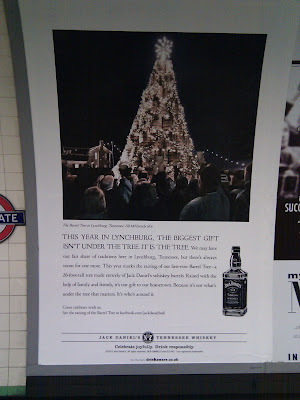 A poster at Highgate underground station tells the story of the Jack Daniels Christmas tree in Lynchburg, Tennessee - this is not a normal tree though, it's the Jack Daniels Barrel Tree made up of 140 barrels and covered with Christmas lights. Nice piece of seasonal cheer, interested to see how it's executed on Facebook. You can file for totally free, No upselling, No hidden charges. https://creditkarmalogin.org/ Click on Login and enter your Email and also password to see your credit history.